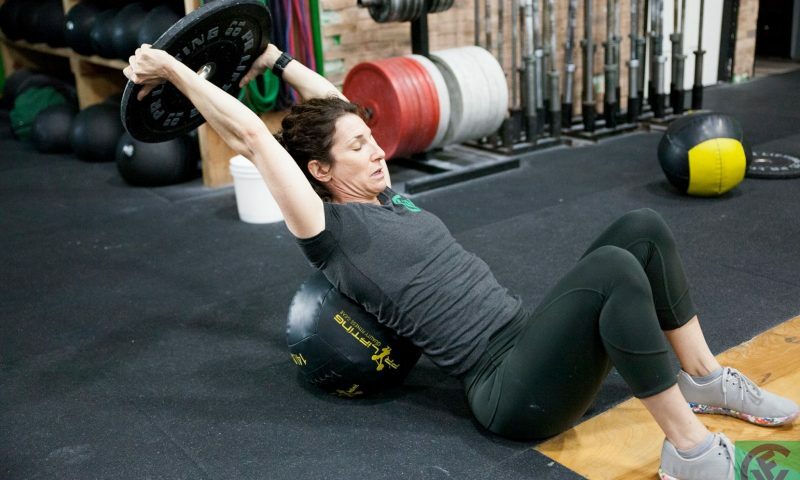 Michele works some T-spine mobility with a med ball and a 10 lb. plate. What a great combo!